Are you starting to feel a little claustrophobic in your Minneapolis, MN home now that people are spending more time indoors? Have you considered a home addition? Consult with home remodeling professionals at Bannochie Builders to see just how affordable home additions can be. We are experienced contractors who can help you through the entire planning, design and construction process. Having a dependable construction company that really knows their stuff will make for a more enjoyable and valuable experience. Deciding whether to build a new home addition or move to a larger space is a large decision that can be overwhelming. That is where a very Experienced Licensed General Contractor is quite helpful. Bannochie Builders, Inc. will go over the entire renovation process and offer useful advise on how to proceed. Our talented staff can take care of the architectural design as well as the actual construction. We will keep the project on track and on budget – no matter the size of your addition or budget. 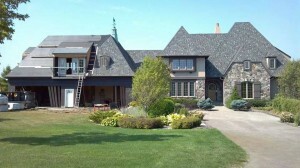 Check out our Photo Gallery to see how we are experts at blending new home additions with your existing architecture. Bannochie Builders, Inc. designs and builds affordable home additions in any size or style. Rediscover why you chose your home in Minneapolis and find out how it can be transformed to fit the changing needs of your family. Add an additional Bedroom, Bathroom, Master Suite, Home Office, Mother-in-law Suite, Game Room, Sun Porch, you name it and we can build it. Bannochie Builders, Inc. is a highly dependable and experienced construction company. We have 25 years of experience as home remodeling professionals. With the superior quality of our work, you may be surprised that we have a great reputation for Affordable Home Additions. Our experienced contractors are familiar with Minneapolis, MN building codes and will get all necessary permits. Experienced, Affordable, Licensed, Bonded and Insured, Professional Contractors. Contact us today for a Free Estimate on your Home Remodeling projects. This entry was posted	on Thursday, October 2nd, 2014 at 8:53 pm	and is filed under Home Remodeling. You can follow any responses to this entry through the RSS 2.0 feed. You can leave a response, or trackback from your own site.